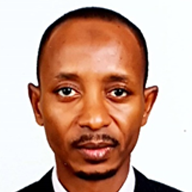 Attahiru Maccido is a Director, Buraq Capital Ltd – a consultancy firm on Islamic banking and finance. Mr. Maccido is also a Director in Metropolitan Skills Ltd, an Islamic Banking and Finance training firm established in 2008. He was the CEO of Lotus Financial Services Ltd, a Subsidiary of Lotus Capital Limited – a Pioneer Islamic Finance Fund Manager, Investment Adviser and Issuing House. Attahiru was also Head of the Northern Region of Lotus Capital Ltd. While with Lotus Capital, Attahiru left his footprints not only in the Company but to the Islamic Finance Industry in Nigeria. Attahiru was instrumental in structuring first Nigerian private Sukuk Al-Istisna issued by Lotus Capital in 2010. He also constructed and managed first Lotus Islamic Equity Index from 2009 to 2012. The index metamorphosed as “NSE Lotus Capital Islamic Index – NSE LC II” when The Nigerian Stock Exchange partnered with Lotus to manage the index. Attahiru Led Lotus Team that structured Osun State Government Sukuk, the first public Sukuk issued in Nigeria which received Africa Deal of the Year Award at the Islamic Finance News (IFN) Awards, 2013 in Dubai. Mr. Maccido is currently active in FGN debut Sukuk under the umbrella of Buraq Capital. He also worked with Securities and Exchange Commission (SEC) from 2002 to 2006. Mr. Maccido was a member of Technical Committee constituted by Steering Committee on Alternative Finance made of CBN, SEC, DMO, ICRC and FMJ. He is also a member of 10-Year Master Plan on Alternative Products of SEC. Mr. Maccido is a Technical Adviser to FMDQ OTC Securities Exchange on Sukuk Listing Services. Mr. Attahiru Maccido is a Fellow of the Institute of Chartered Economists of Nigeria and Fellow of the Chartered Institute of Management and Leadership, USA.